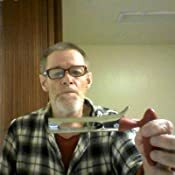 Amazon's Choice for "cuisipro apple corer"
Ships from and sold by Joe Hilliard. 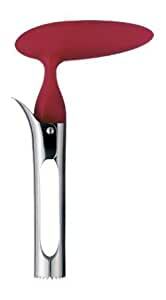 Today's home chef demands tools that deliver consistent, superior performance with every use. Cuisipro tools have been created to perform specific tasks with precision and ease while always providing the finest results. 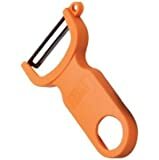 Cuisipro new apple corer has a unique lever that splits the tool in half for easy release of the unwanted core. 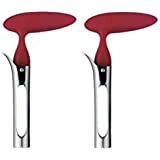 The shape and contour of the handle provides the strength to effortlessly twist or push the core through the apple. The large diameter easily breaks through all types of apples, even apples with a firmer flesh such as Granny Smith. 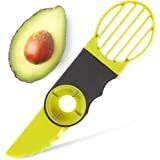 Easy to use, while in the close position, insert into the apple. Pull out the core and press the lever for easy core disposal. The serrated edge is very sharp and breaks through the skin of the apple easily. Dishwasher safe-top rack only. Can also be used to core pears. 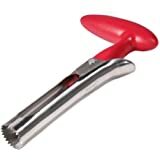 If I would left my review soon after I bought this corer (as most customers do) it would be happy 5 stars review as I really liked this gadget in the beginning. 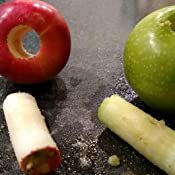 It made right hole - not too small, not too big, and I could get the apple core out of it with one slight motion, so I almost abandoned my old OXO corer that I had been using before. But after about 3 months of regular use the inner spring in the corer that kept the metal parts together got really weak, and the corer's regular position became PERMANENTLY SLIGHTLY OPEN. All the fun of using it disappeared immediately. 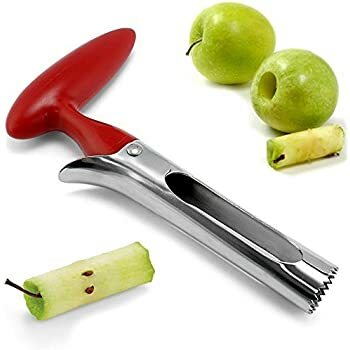 In addition yesterday (after 3.5 months of use) one of the rivets popped out... so now I'm coring apples again with my old good OXO gadget that I bought a few years ago. 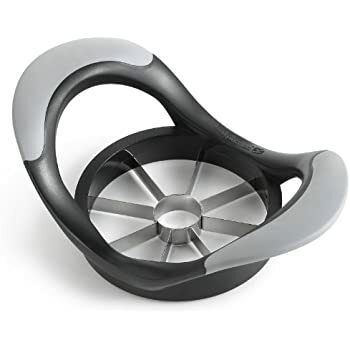 Kind of disappointing experience, I'd not recommend you to buy Cuisipro Apple Corer if you are going to use it often. 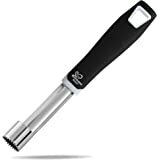 I kept using this corer from time to time when I needed to core an apple and my other corer happened to be in the dishwasher. So here is my update: the inner spring got broken completely and fell out - ALL RUSTY. It's NOT made of stainless steel for sure (which is very weird for a spring). And rivet fell out again and got lost. Looks like this thing falls apart just after 4 months of use. An example of good idea that failed b/c of lousy implementation. 1.0 out of 5 starsA real dud! I read all the negative reviews and did not follow their advice. I should have. I wanted to like this so much. I had used an OXO Good Grips Apple Corer and had a hard time getting the apple core out of the corer. Plus, the stem bend after a short time. Goodbye to that one. I was hoping that this device would be an improvement. It wasn't. 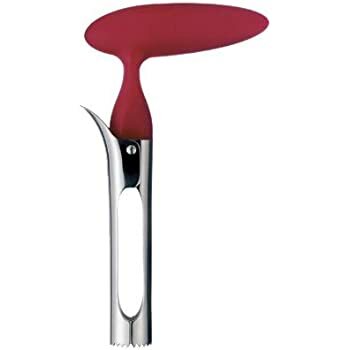 The apple is cut by push the stem, which is a circular metal devise with jagged teeth at the bottom into the apple. The two pieces of the circular metal pulled apart and no longer came together at the bottom. 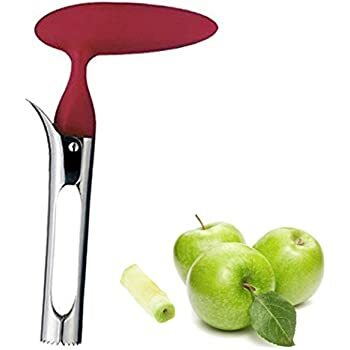 The teeth on the bottom of the corer bent and no longer cut into the apple cleanly, leaving the inside of the apple light brown within minutes. The pin that attaches the handle to the stem fell off and that was the fatal blow. This happened within a few months of use. However, it was great for the first few times I used it. Don't buy this, it is a real dud. 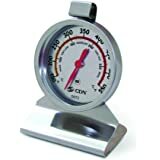 I first saw this on America's Test Kitchen. 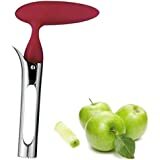 I had been frustrated with my apple corer (You know, the one that has a wooden handle, a thin blade, and a little circle at the end. It was so hard to get the remainder of the core out of that tiny end) and was searching for a better alternative. 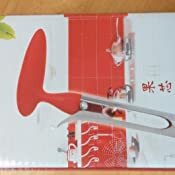 Thrn- I saw the "equipment test" section, of America;s Test kitchen, and they were doing apple corers. They show 9 types and (their) winner was THIS corer. I eventually bought it and am extremely happy with it. It's easy to hold, slides right through the apple with little pressure, and removing the core is way beyond easy! Check out my video where I show you HOW easy it is to core an apple. At $9.25, it is a VERY GOOD VALUE. I will reccomend this to anyone for as long as I live!! 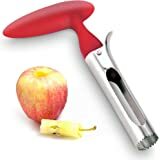 It might not seem like an apple corer is a vital necessity but it really comes in handy. This simple, easy-to-use, easy-to-clean apple corer just works. It's not complex or fancy, but it is sturdy and the core is cut out without a lot of muscle-power. Flip it open and the core slips out with nothing left behind. I quickly clean it off in the sink and I never even need to put it in the dishwasher. Simple, sturdy, good design. Used it yesterday for the first time for making an apple pie. It cuts my coring time to a fraction and is easy to push through. The release function is awesome and the handle, a great feature. Circumference is wide enough to grab all the seeds without compromising the amount of useable apple. It feels like it's sturdily made. 5.0 out of 5 starsGreat kitchen tool! This works great! Just twist it a bit as you push it into the apple and it goes in fast and easy. 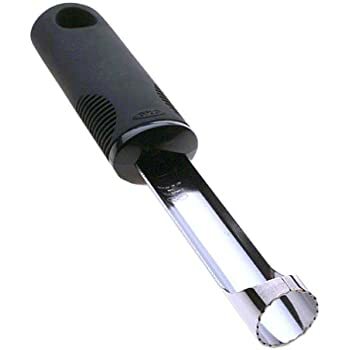 Easy to spring open to remove the core from the corer. It feels very sturdy. I used it to prepare apples for dehydrating and it made short order of the job! 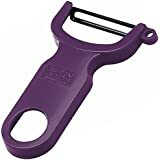 The handle is a good shape and easy to grip. Make sure you order this through Cuisipro. I liked this so much that I ordered more of these for about half the price but it was through a seller call aHook. The ones from aHook are not Cuisipro! 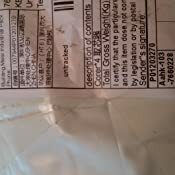 From China they are called "Mayfifteenth"
Cheaper made, hollow plastic that feels like it won't hold up. Looks like aluminum, rough and sharp on the NON cutting edges. I use a dehydrator to dehydrate apples and other fruits. I needed something to quickly core the apple as part of the preparation process. 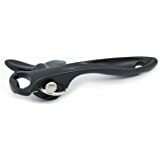 This corer has done a great job with its sharp cutter, ergonomic grip that provides leverage, and the alligator clip design that makes ejecting the removed core quick and easy. However, be careful to align the corer at the proper angle before pressing down. The apples core is not always straight up and down.